The Jockey Club of Canada’s Graded Stakes Committee held its annual review of the Graded Stakes in Canada, and has announced there will be a total of 43 Graded Stakes in 2013, up from 42 in 2012. Woodbine Racetrack in Ontario will once again host Canada’s five Grade 1 events in 2013. Three Grade 3 races at Woodbine have received an upgrade to Grade 2 status for 2013. Three and up sprints, the Kennedy Road and the Bessarabian Stakes for fillies and mares, as well as the Eclipse Stakes, a distance race for older horses, have each earned an upgrade for 2013. The Hendrie Stakes for fillies and mares three and up, which was upgraded to G2 status in 2012 has been downgraded back to a G3 race for 2013. The Maple Leaf Stakes for fillies and mares three and up has once again been elevated to Grade 3 status in 2013 after being downgraded to Listed status in 2007. The Jockey Club of Canada Graded Stakes Committee evaluates and reviews the Graded Stakes in Canada annually and determines whether races should be upgraded, downgraded or remain the same. The Committee base their decisions on the cumulative NARC ratings for the previous years along with the new Race Quality Score (RQS) figures introduced this year by the North American International Catalogue Standards Committee (NAICSC). Graded Stakes in Canada must carry the following minimum purses: $250,000 for Grade 1; $150,000 for Grade 2 and $100,000 for Grade 3. Beginning this year, the Graded Stakes Committee was also responsible for evaluating all Listed Stakes in Canada using the same evaluation process used for the Graded Stakes. Non-Listed black-type races include open stakes races with a purse between $50,000 (available to be won) and $74,999 and all stakes races with a purse of $50,000 or that have a restriction allowed by NAICSC (e.g., state bred, stallions’ progeny, sales graduates or non-winners of a sweepstakes). Non-Listed black-type races that receive an RQS below the minimum requirements will automatically lose their black-type status without evaluation. 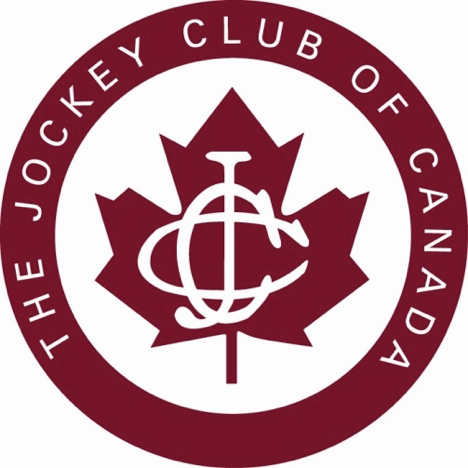 The Jockey Club of Canada Graded Stakes Committee will be responsible for communicating with host racetracks of any black-type races that do not meet the minimum RQS. The Committee will also be responsible for communicating a warning to host tracks of the possible automatic loss of black-type status for stakes that are close to the minimum RQS.